Comfort and style for your feet! Mark Notton is at the forefront in comfortable footwear, with current and perfect designs for active women. 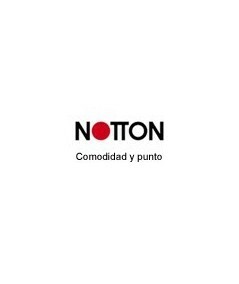 If you are thinking to buy shoes that accompany you 7 days a week, 24 hours a day, the new collection of Notton will be your best choice. this lace-up shoe is available in black, classic, timeless and very necessary. In addition, this model is special for its combination. outside is made of natural leather, combining one smooth finish with another animal print. Winning combination this season. Has removable insole, so it is a perfect shoe for use with custom insoles.